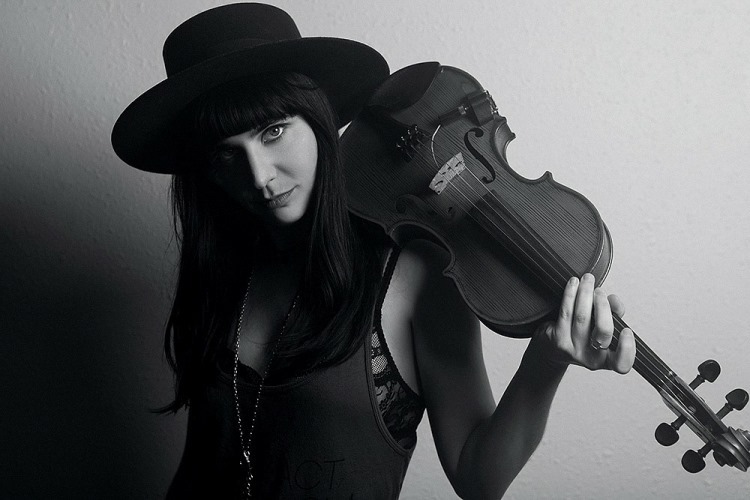 One of the music collaborations that has been another factor in Kaitlin Wolfberg’s star rising in recent years is the work that she has done with the Wild Honey Orchestra a collective of very gifted musicians in the Los Angeles area. 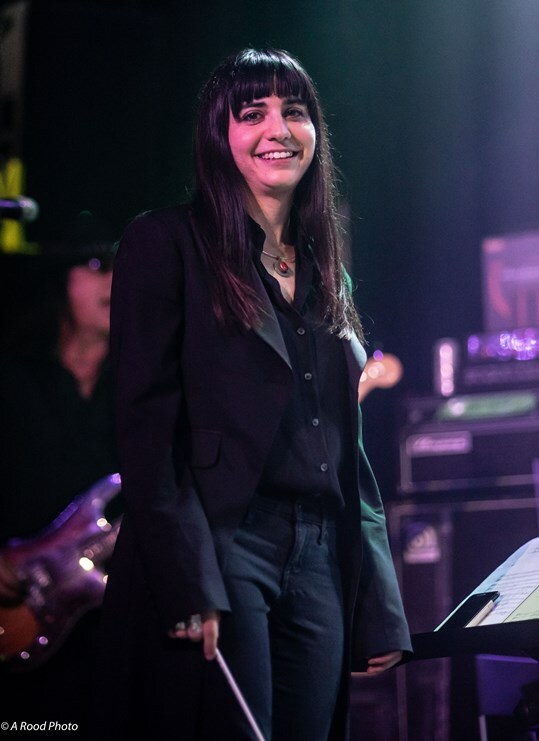 In fact, Wolfberg says that she is really proud of being a part of the 2018 Wild Honey Orchestra’s tribute to the music of Buffalo Springfield. “We did it as a team and I really pushed myself. I decided to conduct it and I got some pushback from other people. I stood my ground and it came out about where I wanted it to be and how I had envisioned it. That was a really cool experience for me,” she says. “I learn from everyone. One of the reasons I wanted to play with Calico (now disbanded) was, so I could really hone in on my vocal stuff. That was super good for me working with those ladies and getting it tight. From the beginning I said, we’re going to have to rehearse every day for a week, if I’m really going to get this right. They were like okay and I was okay. They were onboard with me. It was really cool to do that,” she says, before turning her attention to another artist, “One of the women that I have learned the most from is Ruthann Friedman who wrote the song “Windy,” (Recorded by the Association and a # 1 hit in America in 1967) and that is one of the songs from my childhood, so when I met her I was oh my goodness and then I got to play with her and we really developed the mind meld technique, as I call it. I learned how important spontaniety is in music,” she says. Growing up in Cleveland, Ohio, Wolfberg says, “I came from a lot of visual artists. My grandmother was a visual artist. She was a painter and a sculptor. She still takes lessons as a portrait artist. My grandmother started taking me to the orchestra when I was a baby. She took me to the art museum and to art class. She was the biggest cultural influence. My grandmother gave me art. I definitely love the visual arts. I have never been great at it, but I am a big appreciator of it. When I was really young I sang in the choir at my temple. My first real instrument was the violin when I was nine and in the fifth grade. I wanted to play the violin since I was really little. My mom said no, but she said if you still want to (when you get older) you can take it in school. The minute it was offered in public school I was there. I was I love this and I want to do this forever. That is how I started. I think (school programs) are extremely important. I would never have been able to start with the violin if it had not been for public school and the music program. Even in elementary school we had an amazing music teacher, Mrs. Tuttle, with whom I am still friends. She taught us a specific method of music. It involved a lot of clapping and a lot of rhythmic oriented musical endeavors. I think that is a really neat way to learn. In middle school I was in the orchestra and I was the principal violinist for two years. Cleveland has a really good Classical world, so once I got to high school I was no longer the first violinist. We had a lot of competition, which was good for me. If I had gone to a smaller school, I probably would have been first, but I am grateful that I wasn’t. When I was in high school I wanted to play out and I joined a Jazz band, but I couldn’t figure out how to amplify myself live, so it sounded terrible and I only did it a couple of times. I was in the Contemporary Youth Orchestra, which is an amazing orchestra. When I was a part of them they only did music of the twentieth century. We played a lot of cool contemporary Classical stuff, like Joan Tower. Having a woman composer was pretty rare. She came to our concert and it was pretty neat to meet her. We did music by The Doors. We did The Doors Concerto at the Rock & Roll Hall of Fame. That blew my mom away. Mark Wood came and played with us once. We ran the gamut from Bernstein and West Side Story and all of the way to Led Zeppelin. That was a cool experience. The lady who heads up the orchestra is Liza Grossman. We first met Kaitlin Wolfberg when she was embarked on a North American tour, as part of the band Calico and we found her to be very personable. Watching her perform on stage we were struck by how emotive she is as a violinist, so during our recent conversation we decided to ask her about that. “Well, I like to say it is from my roots. I am Jewish on both sides of my family. I feel like the Jewish suffering of my ancestors comes through my instrument. I try to play like I am singing. It is my voice and it took me a long time to develop that voice and to accept it,” she says. Our conversation shifts to the renaissance of string sections during the past ten to fifteen years, “I feel that strings have always been there and that they are always changing and evolving with the music. In the nineties Nirvana had a cello player. Lori Goldston was playing cello on the unplugged series. Oasis had strings. I think in the last ten to fifteen years strings have changed. A lot more dissonance and contemporary Classical techniques are being used in our Pop and Rock genres. It has been a really interesting shift,” says Wolfberg. Considering her immense talent and her vast musical palette we could not resist asking Kaitlin Wolfberg one final question, would you like to get into creating film scores someday? We think somebody should ask her to score their movie.